Choose one of our great coal baskets available for wood burning or with gas coal burner that can be controled manually or by Hand Held Remote. (also available *Electronic ignition). 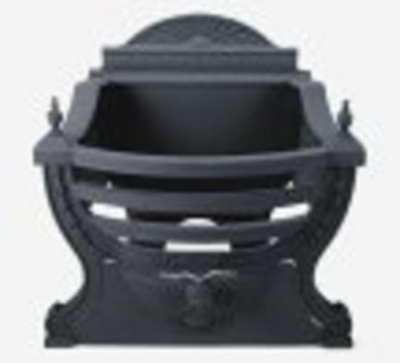 Available with U-Shape pan burner which includes traditional cast iron coal basket with removable ash cover to access controls. Valve module is fully accessible for service without removing the basket assembly. Our gas coal baskets are perfect for smaller fireplaces and for those who want a gas fire with a unique appearance. Fits a fireplace as small as 20" wide and as little as 7" deep. Requires a fireplace that is lined and suitable for use with burning wood.